(NaturalNews) Learning how to can foods is one of the foundations of prepping, but care must be taken during the process because improperly canned foods can cost you your life. Quite simply, when it comes to canning, there are no shortcuts. If you don't think improper canning can be dangerous, you haven't heard Mike O'Connell's story. O'Connell, an attorney from Washington State, was recently admitted to the hospital with symptoms that resembled a stroke: dizziness, double vision and difficulty standing up. Tests came back negative for a stroke and O'Connell was discharged. However, over the next 48 hours, his condition worsened; his speech became slurred, his eyelids drooped and he began having trouble swallowing. O'Connell had also become extremely weak and his breathing was shallow. A friend, who was a neurosurgeon, gave his daughter a checklist to try to pinpoint what might be causing these drastic health changes. When O'Connell returned to the hospital and the doctors re-examined him, it was determined that he was suffering from the a food-borne illness, botulism -- something that was indeed on the checklist. It turns out that O'Connell became ill from eating some elk meat that he had canned improperly about one week before the incident. During the canning process, he used a pressure cooker that was too small, jam-packing it with a great deal of meat. Additionally, the method he referred to was from an old family recipe. He also decided to take some shortcuts. For example, he improperly handled a jar that had lost its seal, deciding to refrigerate it and then eat from it the next day. All of this resulted in a case of botulism which nearly killed him. O'Connell may be alive, but he's also paralyzed from the experience. Since the illness, he has undergone extensive rehabilitation, but he still walks with a cane and has lost his sense of taste, which he may never recover. Daisy Luther recounts O'Connell's story on her blog, which appeared on The Organic Prepper. Her goal was to illustrate the importance of proper techniques when canning food. She relates the opinions of those who believe that modern canning techniques are unnecessary, and attempts to put the common belief that people don't get sick from canned food to rest. "So you know those people who say, 'I've never heard of anyone getting botulism from home-canned food. That's just a scare tactic from the USDA.' Well, you can tell them about Mr. O'Connell," Luther writes, "who still hasn't fully recovered from his bout with unsafely preserved food. In fact, he may never completely recover." As Luther notes, canning is an age-old and highly-effective method of preserving foods, but there is no reason to discount the recent advances in the science of canning -- namely, the use of pressure canners as well as water bath canners. Canning is a great way to make sure your family will have delicious and healthy homemade food year-round, or in the event of a prolonged disaster scenario. Several online resources exist to learn more about safe canning, but perhaps one of the more extensive ones is PickYourOwn.org, which has a great deal of information about how to can just about any food imaginable. The methods -- and the safety inherent in those methods -- have changed through the years. Back then, most food was canned without processing, so food was more prone to spoilage and apt to lead to food poisoning. Boiling-water canners and pressure canners are ideal. They manage heat and pressure significantly better than other types. For example, 240 - 250 degrees Fahrenheit (under pressure) is best for meat, poultry and low-acid vegetables like green beans. Stay away from temperatures the are between 40 - 140 degrees Fahrenheit as that range promotes very fast growth of mold and bacteria. There's no need to be afraid of home canning. 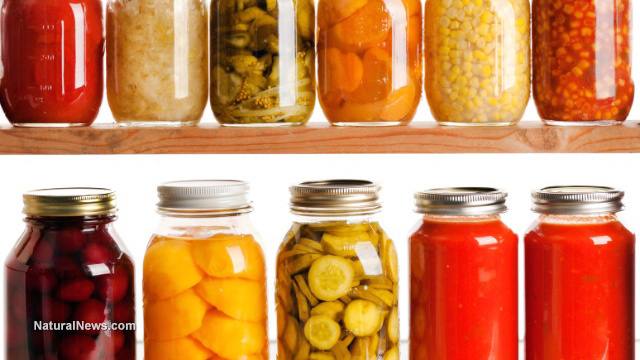 Done properly, canning is a safe and practical method of preserving foods. Just keep in mind the cardinal rule: there are no shortcuts!